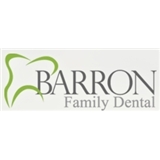 Barron Family Dental (Thornton) - Book Appointment Online! Welcome to our dental office! At Barron Family Dental we do things a bit differently. You can expect a dedicated team available to help you understand your individual dental needs and options. Our staff is committed to making your experience in the dental setting comfortable, informative and fun. We look forward to providing you with the most professional, caring and comprehensive approach to dental health. A dental office with your comfort in mind! We offer private rooms fully equipped with the latest dental technologies and comforts including overhead monitors with headphones to watch your favorite shows or listen to your favorite music, neck rests and blankets. YOU are our priority and your smile is our passion.